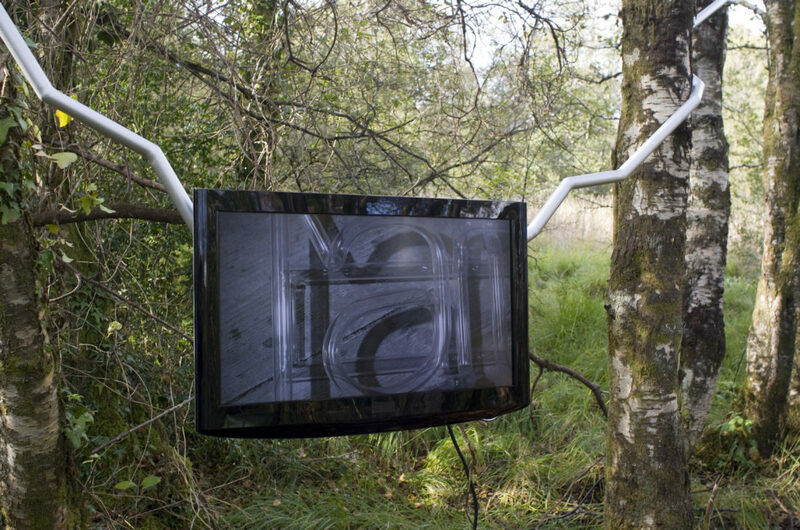 HD Video (silent, duration: 8':08") LCD screen, painted steel. Installation at Gracelands: Substance Abuse curated by Vaari Claffey. Using a series of close ups tracking shots Glass Film takes as its subject a sculpture by McCrea from 2003 entitled Decade-ism (early & late), which was the final in a series of textual neon works made between 1998 and 2003 that iterate dates and historical periods. In the case of Decade-ism (early & late) the hand-formed tubular glass of a neon sign was constructed without the gas, electrodes and electric current, necessary for characteristic neon illumination. There are four glass elements in the sculpture spelling out four periods of time: late fifties – early sixties, late sixties – early seventies, late seventies – early eighties, and late eighties – early nineties. The film also records instances of damage to the sculpture that occurred since its exhibition in 2003.